Our public awareness programs help to educate the public about Down syndrome. We make current information available to the public through our web site and through the brochures we distribute to hospitals and clinics. Our trained public speakers talk to schools, businesses, community groups, hospitals, and other organizations throughout the Chicago area. 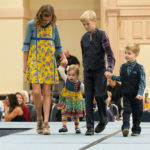 We also sponsor a variety of public awareness campaigns for Down Syndrome Awareness month in October, as well as organizing public awareness events. Our speakers also provide an important service to NADS by strengthening our relationship with local hospitals, which are our most important source of referrals for new families. 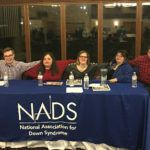 Through our hospital in-service program, our speakers bring current information about Down syndrome to doctors, nurses, social workers, therapists, and other staff members. The positive message which our speakers bring and the insights they share help medical professionals to offer more sensitive care to families. Without the dedication of our speakers in maintaining these important relationships with the medical community, we would have a harder time identifying the families which need our help.